Creating a fan page from different social media is very useful in promoting our business online or whatever stuff we probably promoting. After that, we need thousands of people to like our page to get more traffic. I found a good site that can help us increase our fan page likes in a legal way. 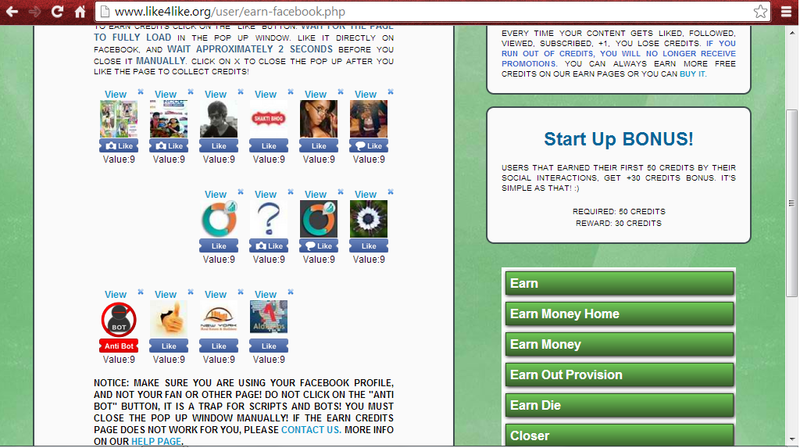 There is no need of scripts and the good thing is, they are real people and each of them manually likes your page. This is a free like market place that helps you grow your social media presence faster and free.Not only likes you can get out from like4like, you can also increase shares, comments, and followers. Well, it’s easy and simple. More credits, more likes to your page. Every time someone likes , share, or follow your content, you will lose credits, but don’t worry because you can replenish or get even more credits by liking, following, and sharing pages from different social media; other bonuses; or you can buy if you want instant credits. First thing to do is to register @ Like4Like for free. Once you completed the registration process, go to Add and Manage Pages to add the url of your page, say for example facebook fan page. Just Select Facebook likes and add your fan page URL. Create an Account for FREE NOW!